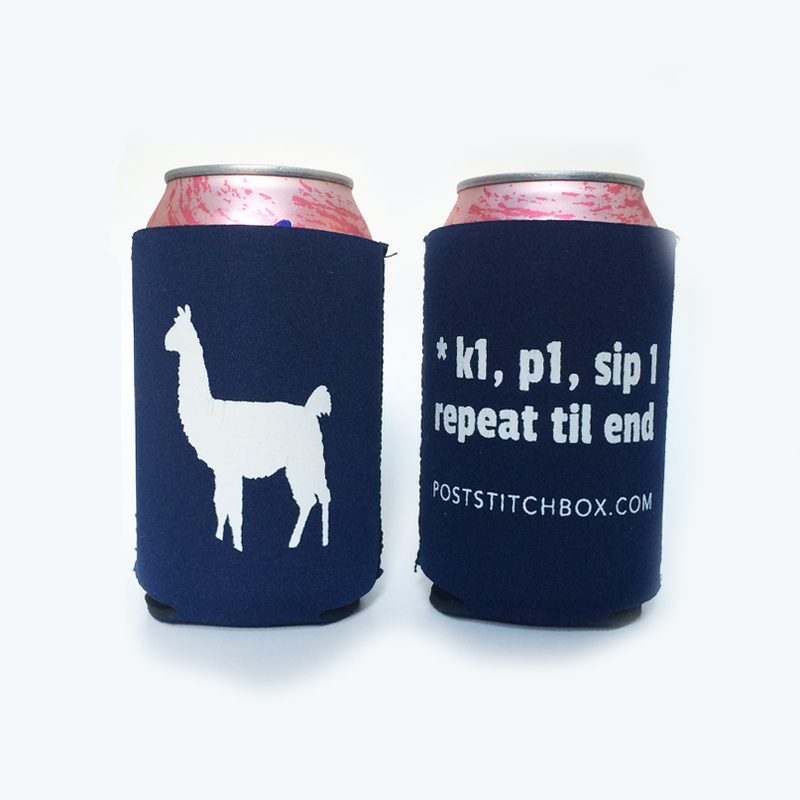 Boasting a llama on one side and the instructions "k1, p1, sip1" on the other, our Sip1 Koozie/Cozy is the perfect drink accessory for summertime knitting. 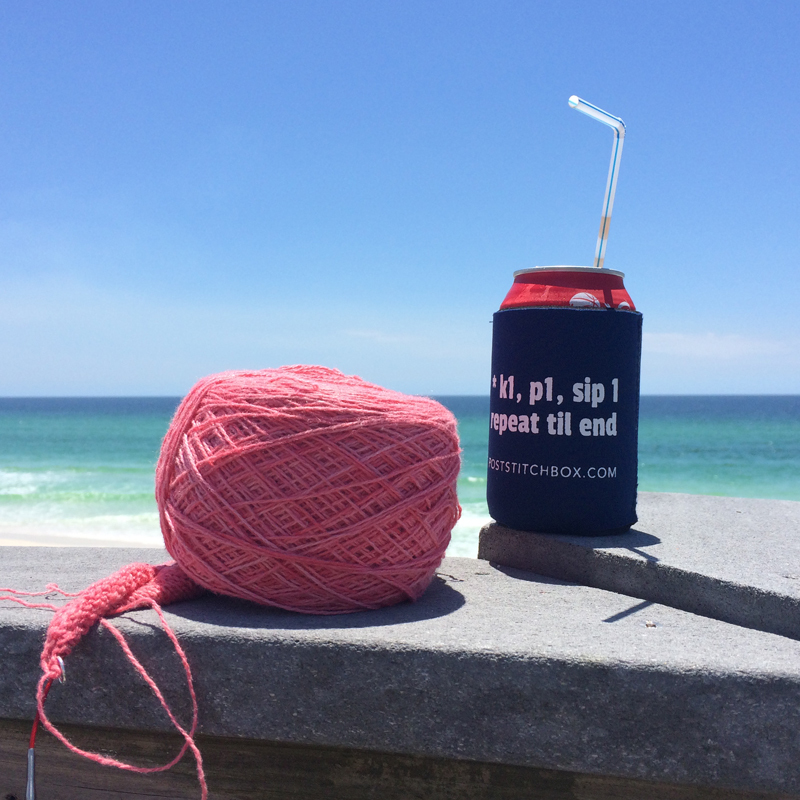 Made of Neoprene, a material often used for wetsuits, this Koozie will keep your drink cool, while, more importantly, keeping your hand (and knitting!) dry. A great gift for the knitter in your life. Plus, they're husband approved! 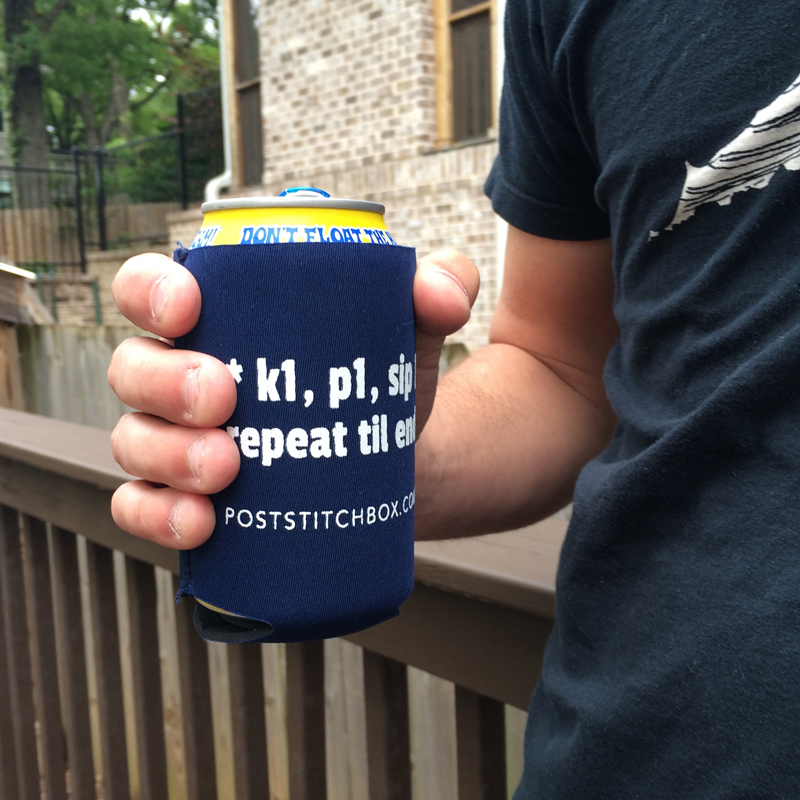 Our Sip1 Koozie holds a 12 oz can or bottle.